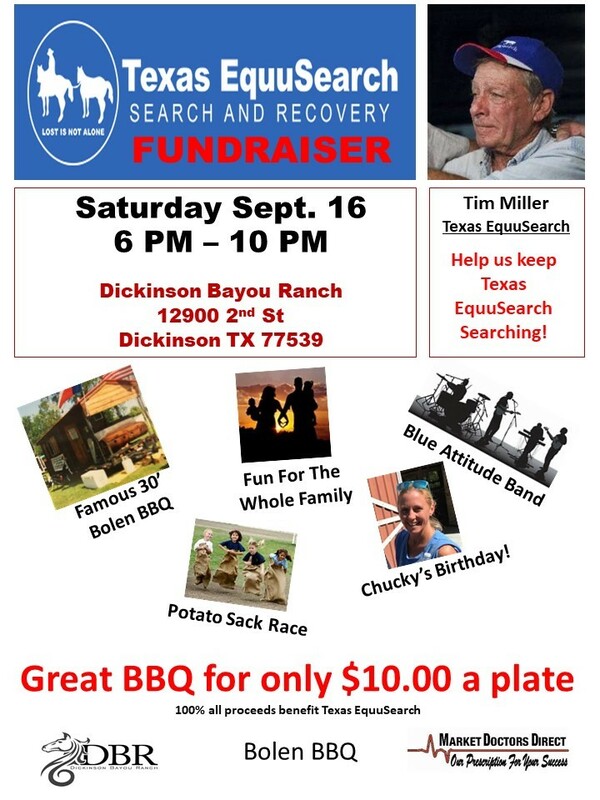 Dickinson Bayou Ranch Fundraiser for Texas EquuSearch, Saturday, September 16, 2017 from 6:00 p.m. through 10:00 p.m.
Dickinson Bayou Ranch is hosting fundraiser for Texas EquuSearch this Saturday, September 16, 2017 from 6:00 p.m. to 10:00 p.m. There will be BBQ plates for $10.00 each, live music by Blue Attitude, and fun events planned for the entire family. 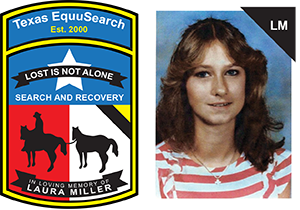 The address is 12900 2nd Street, Dickinson, Texas. Second Street is off of FM 646, south of FM 517. The Ranch is at the end of 2nd Street on the right. There will be golf carts to shuttle everyone to the event site. 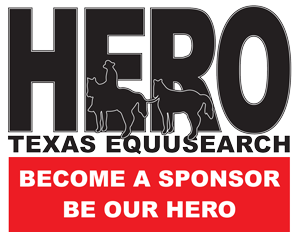 Please bring your family out, enjoy a fun event and help Texas EquuSearch. Thank you so much.